Drift Magazine have launched their first printed version of the mag. 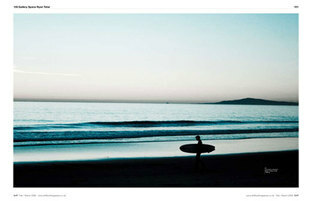 Quality surf publication - some great surf photography and articles packaged with some really nice graphics. Well worth a read - click onto their website to find out more. Grommies Boots up for grabs! 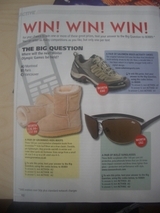 In this months issues of Snow and Active Magazines we are featured on their competition pages. Why not try your luck! Active is a new magazine launched this month. If you love the outdoors you will love this mag includes articles on mountain biking, sky walking, sailing, hill walking and more. As I'm sure your all aware there has been some big storms crossing the country during last night and today. I came across this picture of a local spot near Porthcawl... Any one fancy a surf? Its all go on the Grommies front; Sarah is busy sorting out designs and future stock. Other developments include Jack obtaining some sponsorship from 'Splashography' and 'Dodgy' clothing - so he's pretty stoked, although always keen for more. Anyhow will post shortly about some magazine competitions we are in - giving you a chance to win a free pair of sheepskin boots!